Matthew Stafford, Lions, $11,300 – The tilt between the Packers and Lions this week is one of the few games where both teams have something to play for. In this case, the two teams will be competing for the NFC North title. Luckily for both teams, this game will be played inside the dome of Ford Field so this also negates any threat of potential weather issues. Matthew Stafford’s previous meeting against the Packers (in Green Bay) proved to be his best fantasy outing of the entire season. 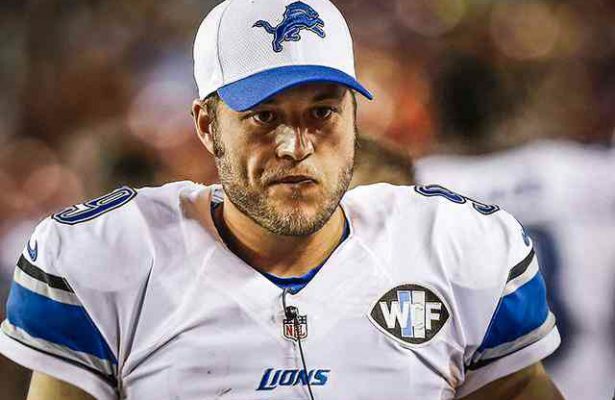 In that game, Stafford threw for 385 yards and three passing TDs which makes sense from a game plan perspective. The Packers rank 11th in terms of rushing defense according to Football Outsiders’ defense-adjusted value over average (DVOA) metric compared to 20th in passing defense. Instead of running into a brick wall, most teams choose to throw more instead against this stout front seven and it worked for the Lions the last time. With Theo Riddick likely out once again, and the team having to rely on the Dwayne Washington/Zach Zenner duo again, it would not be shocking for Stafford to exceed 40 passing attempts once again (as he did in the previous meeting). As icing on the cake, Stafford has produced a superior QB rating at home in back-to-back seasons. With so many factors in his favor, it would be foolish to fade him at this price tag. David Johnson, Cardinals, $18,600 – Coach Mike Tomlin hinted Le’Veon Bell will likely sit out this weekend which leaves David Johnson as the only elite back worthy of consideration. 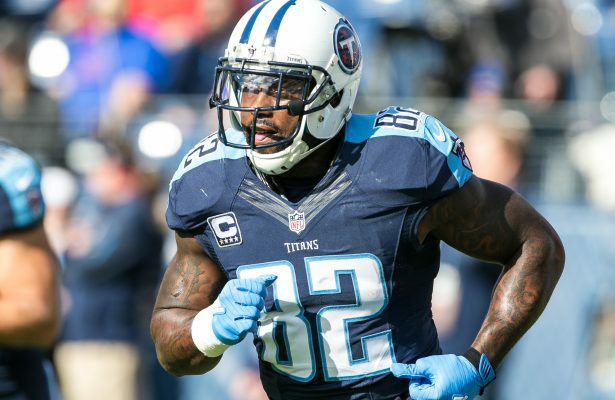 As per usual, Johnson is in an excellent spot to succeed against a Rams team that has allowed a whopping 25 receptions to backs over their last four games. No back has caught more passes (77) than Johnson this year neither have any racked up more receiving yards (841). Amazingly, Johnson’s floor this season has proven to be 15.40 fantasy points and that lowly output came in his last meeting versus the Rams. With Johnson looking for vengeance, I would not want to be one of the few caught without rostering him in cash games. Bilal Powell, Jets, $12,300 – With Matt Forte continuing to sit out practice, the Jets have absolutely zero reason to rush him back considering they have been eliminated from the playoffs. Therefore, it will be the Bilal Powell show once again and he has been surprisingly effective this season. 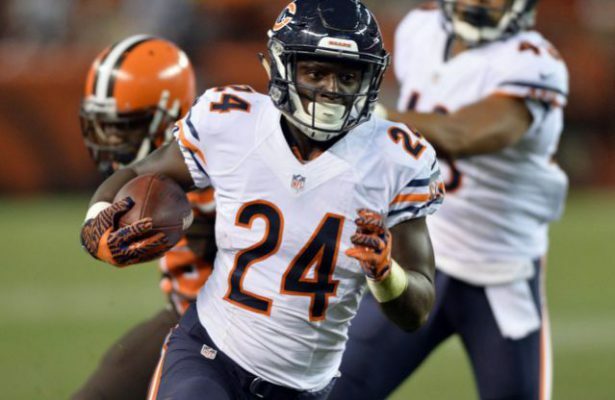 Amongst all backs who have carried the ball at least 100 times, Powell ranks second in yards per carry (YPC) behind only LeSean McCoy. Furthermore, only three backs have caught more passes this season: the aforementioned Johnson, Bell and James White. That is it. Now, he will square off against a Bills defense that has allowed the most fantasy points to opposing backs over the last month and the third most fantasy points overall. During the course of their last four games, the Bills have surrendered seven rushing TDs and 698 rushing yards to opposing backs to go along with 229 receiving yards. With Powell drawing a full workload once again, he is one of the best values on the entire slate at this mid-tier cost. Michael Thomas, Saints, $12,600 – The 7-8 Saints have nothing to play for other than pride and the fact they will likely find themselves in a shootout against another high-powered offense. Vegas lists this game as above and beyond the highest over/under of the weekend (56) with the Packers/Lions game sitting in a distant second (48.5). After flopping at home last week, Drew Brees now finds himself in a dome (although it is not home) against a defense that has allowed the second most fantasy points to opposing QBs. In the first meeting, Brees threw for 376 yards and three TDs and Michael Thomas caught 7-11 targets for 71 yards and a TD. In fact, this performance proved to be his first big game as a professional and he took off from there, posting double-digit fantasy points in nine of his next 11 games. He has morphed into the number one WR in an offense where Brees mostly looks for the open man and this matchup was clearly conducive to him the first time. While the defense can certainly make adjustments, the Saints simply possess too many weapons for the defense to focus on any one receiver. At the cost of a low-end WR2, Thomas has the upside of a true WR1 in this perfect game atmosphere. Antonio Gates, Chargers, $7,400 – Narratives typically are not worth overanalyzing because most of them are made up by the media. However, like Kobe Bryant’s 60 points in his final game, getting Antonio Brown to the all-time TE TD record is a narrative worth recognizing and factoring in. With the team eliminated from the playoffs, the TD record is literally the only thing they have to play for and this could be Gates’ final game as a professional. For that reason, the team should target him heavily once they get into the red zone. Hell, he ranks second in red zone targets (17) amongst TEs anyways so it is not like he does not get the looks on an average week anyways. After catching 8-13 targets for 94 yards and a TD last week, his price actually decreased nearly $1,000. Although the reasoning for using him does not fly in most scenarios, there is little doubt it will contribute to the Chargers game plan this week. Ben Roethlisberger, Steelers, $12,600 – The recent struggles of Ben Roethlisberger should only play to the advantage of those interested in rostering him this week…and why would one not be interested? Four of Roethlisberger’s last five games have come on the road where he continuously struggles. After producing an 86.0 QB rating on the road last year and 102.4 rating at home, he has produced similar results this year: 78.4 rating on the road versus 119.0 at home. All three of Roethlisberger’s 30-plus fantasy point outbursts have come at Heinz Field this year so there is definitely some weight to this narrative. Even beyond the narrative, the Ravens present a solid matchup for him especially because Le’Veon Bell should have a much more difficult time than usual leading the ground game. Not only do the Ravens rank first in rushing defense according to Football Outsiders’ defense-adjusted value over average (DVOA) metric but they held Bell to just 13.00 fantasy points (his worst outing of their year) in the previous meeting on Nov. 6. With Bell potentially being held in check and Roethlisberger excelling at home, the passing offense will be relied upon to lead the Steelers to victory. This means a whole lot of Roethlisberger early and often much to the delight of those who decide to use him. Todd Gurley, Rams, $12,300 – Here should be a checklist for rostering a RB in cash games. 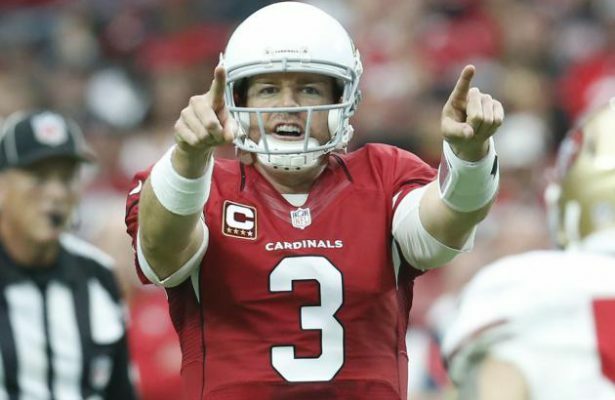 Question number one: “is he facing the 49ers?” If so, he belongs in your lineup…period, end of story. Over the course of the last two weeks alone, Bilal Powell torched this defense for 145 yards and two TDs and last week Devonta Freeman ran wild for 139 yards and three TDs. As a whole, the 49ers have allowed exactly 293 yards rushing more than the next worst defense (Browns) and six more total TDs to the RB position (25) than any other defense (also the Browns who rank second worst). The entire Rams offense is amidst a disappointing season but Todd Gurley has been especially discouraging. In 14 games, Gurley has only managed to top 20 fantasy points once after setting the fantasy landscape on fire in his rookie season. If there ever were a game for him to bounceback to his true RB1 form, this would be the one. Antonio Brown, Steelers, $15,600 – To coincide with the Roethlisberger play, you may as well double down on Antonio Brown who is my favorite play of the week at any position. Had he not been so quiet lately, calling him the “top play of the week” would not exactly be considered bold but here we are. Brown has been very un-Brownlike recently as he has failed to top 20 fantasy points in back-to-back-to-back contests. His struggles correlate to Roethlisberger’s struggles and two of those three games have come on the road. At home, the Steelers offense is completely different and Roethlisberger needs to rely on Brown to produce a monster performance. In six home games this season, Brown has only failed to reach 17 fantasy points once and failed to top 20 fantasy points just twice. Clearly, he is more comfortable when Roethlisberger is more comfortable so the two of them should help each other out this week. As icing on the cake, Brown roasted the Ravens for 7-85-1 on the road earlier this year. A performance like that could prove to be his floor this week. Do not be the one caught without him in your lineup. Antonio Gates, Chargers, $8,300 – The TE position is an absolute wasteland this week with both expensive and value options alike in unfavorable/risky spots. Furthermore, both Jordan Reed and Greg Olsen are currently dealing with injuries which makes them unsettling to roster despite their fantastic matchups. If fishing for someone to start, why not use a player who leads the NFL in red zone targets (17) at the position and yet is priced about $2,000 below the elites? Yes, veteran Antonio Gates is still worthy of consideration despite his frustrating platoon with Hunter Henry. In Week 15, Gates played 35 offensive snaps to Henry’s 29 and yet Henry caught a TD for the fourth time in five games. Call it a hunch but it feels like Gates’ week as he has been targeted 15 times in the last three games and yet has not found the end zone. Now, the team will play an awful Browns defense that ranks dead last in TE DVOA and has allowed the most fantasy points to opposing TEs. Both of the Chargers options are worthy of consideration but my pick is the guy playing a majority of the snaps: Gates. 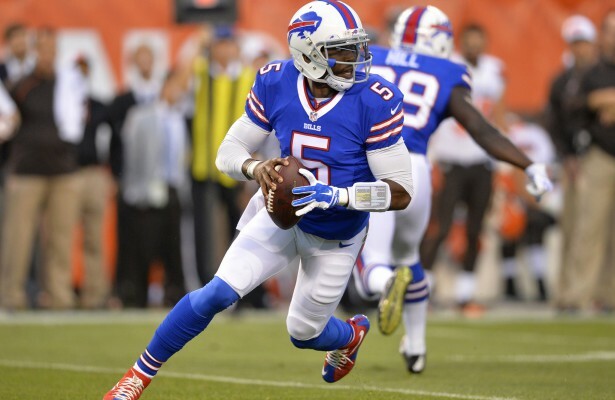 Tyrod Taylor, Bills, $11,200 – Last week, the weather did not hold up for Tyrod Taylor and yet he still posted one of the more respectable scores of the week amongst QBs in what turned out to be a brutal week at the position. The weather report looks a lot more promising this week with minor snow flurries seeming to be the worst case scenario. Therefore, it is time to immediately go back to the well with Taylor against one of the worst defenses in the league. In fact, the Browns are the only team in the league to rank in the bottom two of Football Outsiders’ defense-adjusted value over average (DVOA) metric against both the run and the pass. Considering Taylor leads the position in terms of rushing yardage and TDs, he should be able to take advantage of both aspects of the defense. With elite players worth spending up on at both the RB and WR positions (Le’Veon Bell, David Johnson, Mike Evans, etc. ), the salary relief Taylor provides a lineup (combined with his safe floor) is incredibly helpful. Devonta Freeman, Falcons, $12,600 – People are going to look at last week’s flop and then look at Tevin Coleman’s monster two TD performance and will have a difficult time choosing between the two. The decision is easy in my opinion as Devonta Freeman had been coming off of two straight 20-plus fantasy point performances before last week’s epic fail. To be fair, Freeman touched the ball eight total times to Coleman’s 10 so it was not like he was dominated in touches…Coleman just happened to find the end zone twice. Prior to Week 14, Freeman had scored four total TDs in his last two games so last week was just an unfortunate case of him not receiving meaningful carries that led to scores. Against by far the worst rushing defense in the league, Freeman is undoubtedly going to enjoy some positive regression. He had averaged 15.5 carries per game over his last two prior to the Rams gams so that seems like a reasonable expectation against the 49ers. Freeman is also active in the passing game and the 49ers rank 22nd in DVOA against RBs in the passing game. Against a defense that has allowed the most rushing yards, rushing TDs and total TDs to opposing backs, Freeman should bounce back in a big way even though he will be splitting the workload with Coleman once again. LeGarrette Blount, Patriots, $9,800 – The blueprint to beat the Broncos is simple: run the football. For the season, the Broncos rate as the league’s top passing defense according to DVOA and they have allowed the fewest fantasy points per game to opposing QBs. Meanwhile, they also rank 26th in DVOA against the run and Coach Bill Belichick is the king of the offensive game plan. Since he is not stupid, he is inevitably going to rely on his workhorse back LeGarrette Blount who has rushed for either 100-plus yards or a TD in all but two games so far this season. Although he has been volatile in season’s past due to his lack of contributions to the passing game, he has proven to be remarkably consistent this year. At a sub-$10,000 cost, Blount should be a lock to either rush for 100 yards, score or both once again in a matchup where he will be needed by the offense. Throwing at the Broncos corners is like banging your head into a brick wall so Blount should be the focus of the Patriots offensive game plan this week. Jamison Crowder, Redskins, $10,600 – Kirk Cousins and the Redskins passing offense are in a fantastic spot on Monday Night against a subpar Panthers passing defense. Sure they rank 16th in passing DVOA but they have allowed the seventh most fantasy points per game to opposing WRs and rank 29th in DVOA to third WRs and beyond. In terms of individual matchups, Jamison Crowder draws one of the best of the entire week against Leonard Johnson who has graded as one of the six worst corners this season, per Pro Football Focus. Crowder has only caught five passes over the past two games but he has been targeted 13 times during that span. Additionally, Crowder has scored in four of his last six games and has drawn some unfavorable one-on-one matchups as of late. This week, things will change, and he should be the one beating his man like a drum. When he gets open, Cousins finds him, so look for him to rack up the receptions at a reasonable price tag this week. Ladarius Green, Steelers, $7,300 – “Athletic freak” is a phrase that accurately describes Ladarius Green who stands 6’6”, 238 lbs and still ran the second quickest 40-yard dash in his draft class at the position (4.53). The Steelers offenses of old always functioned as well-oiled machines partially due to having a reliable target over the middle like Heath Miller. The offense had been lacking that sort of real threat (Jesse James is simply mediocre) to complement Bell and Antonio Brown prior to Green’s return from injury. While he struggled last week in the snow, he caught six passes for 110 yards and a TD the week before. 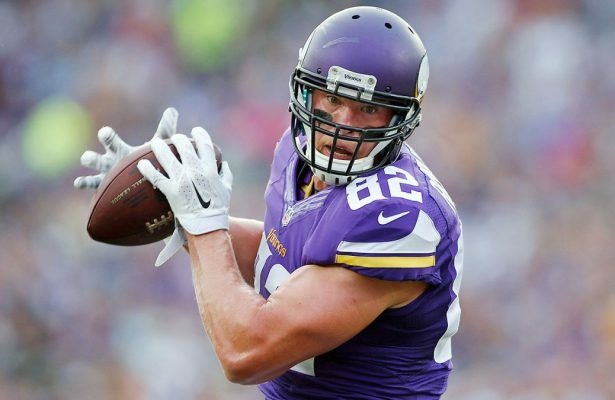 In Week 15, the team will face a Bengals team that has allowed the third most fantasy points to TEs including the most receiving yards (926) and the fourth most TDs (seven). With Green’s speed, he should be able to rack up the yards in this elite matchup on the road (where Brown has struggled). Tyrod Taylor, Bills, $10,600 – Something has got to give in this matchup between a defense that has only allowed 82 yards rushing to opposing QBs all season versus the NFL’s leader in rushing yardage (469) and rushing TDs (six) by a QB. The Steelers’ effectiveness against rushing QBs is a little misleading as they have not faced any of the top seven QBs in terms of rushing yardage this season. Dak Prescott, who ranks eighth in rushing yards per game at the position, squared off against this defense and did not need to run much because he threw for 319 yards and two TDs. At home this year, Taylor has not failed to score 17 fantasy points in any single game and he has eclipsed 20 fantasy points thrice. With top target Sammy Watkins back and looking healthy, it is difficult to imagine a scenario where Taylor does not provide adequate value for fantasy owners at an affordable $10,600 price tag. Le’Veon Bell, Steelers, $17,000 – By default, Le’Veon Bell is the player to pay up for this week as David Johnson, Antonio Brown and Odell Beckham Jr. all draw mediocre matchups. Meanwhile, Bell has caught exactly one less pass than Brown since being reinstated off of suspension and both caught exactly six passes once again in Week 13. This week, the team draws a matchup against a Bills rushing defense that ranks 25th in terms of Football Outsiders’ defense-adjusted value over average (DVOA) metric. Now that Bell has enjoyed a positive regression in terms of TDs over the past four weeks, he and Johnson are neck-and-neck for the highest floor players at the position on a weekly basis. Bell is essentially the combination of a WR1 and RB2 and yet he is only priced like a WR1. On the road, where Roethlisberger has produced a QB rating nearly 30 percentage points less than at home, the team will need to rely on the running game to stay competitive. Therefore, Bell should relied upon heavily once again and is a stone cold lock for cash games. Oh by the way, Bell has topped 26 fantasy points in four consecutive games heading into Week 14. Jeremy Hill, Bengals, $10,900 – The price keeps rising on Hill and yet the matchups keep dictating he is worthy of starting. After his price rose nearly $1,000 last week, it increased by more than $2,000 this go-around and yet paying up for him still makes sense due to the matchup. Instead of facing one of the top rushing defenses this week, Jeremy Hill will finally face a cupcake opponent: the Browns. Not only have the Browns allowed the second most fantasy points to the RB position but they have surrendered the third most total TDs to the position (15) and rank 29th in rushing DVOA. The last time Hill squared off against this exact opponent, he busted out to the tune of 168 yards rushing and a TD on just nine carries. Surely that cannot be expected once again as it came mostly on a 74 yard TD run but it just shows how susceptible this defense is to power runners. With Giovani Bernard out of the picture, Hill has also caught eight passes over the course of the last two weeks so he is being deployed as a true bell cow. For a solid back receiving all the touches in a great matchup, the price is actually affordable. Consequently, spending nearly $2,000 for the same player this week should feel like no big deal because he is in a great spot to produce. Mike Evans, Buccaneers, $16,700 – Looking at the Saints defense, who has allowed a whopping 374.8 total yards and 27.9 points per game, it would appear number one receivers are a great matchup against them? Not so fast because they rank 12th in DVOA against opposing number one WRs and have only allowed 67.3 yards per game to them. However, when examining the talent pool in their secondary, none of the individual corners stand out. Delvin Breaux used to be considered an imposing corner and yet he has graded outside the top 100 in terms of coverage this season, per Pro Football Focus. In fact, the team’s best corner has graded as the 48th best cover corner so far this season (B.W. Webb) so the individual matchups are quite beatable. Okay, so the specialty of the Saints defense is their safeties but Mike Evans has performed well against virtually every tough opponent he has faced mostly due to his insane target totals. Since Week 1, Evans has been targeted fewer than 11 times in a game just twice. As icing on the cake, Evans has not dropped below double-digit fantasy points in any game at home this year. All-in-all, he feels like an incredibly stable investment so do not fear spending up a tiny bit for the additional safety of him over Brown, Julio Jones or Beckham Jr.
C.J. 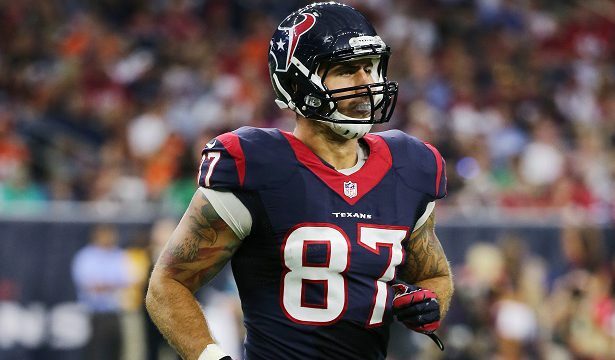 Fiedorowicz, Texans, $7,700 – Here is the list of TEs who have gained more yards than C.J. Fiedorowicz over the course of the last four weeks: Travis Kelce, Cameron Brate, Tyler Eifert, Jimmy Graham, Jordan Reed, Delanie Walker, Ladarius Green and Zach Ertz. Essentially, this is just a list of all the best TEs in the game so clearly Fiedorowicz is emerging as a TE1. He can certainly be relied upon as a TE1 in this matchup against a Colts defense that ranks dead last in DVOA against opposing TEs. The last time Fiedorowicz faced this very defense, he caught 6-7 passes for 85 yards and a TD. Since that game, he has been targeted at least seven times in 4-6 games so he is an absolute staple in the offense. Since spending up for at least one RB and one WR makes sense, spending down at TE is necessary to make it happen. With Fiedorowicz’s considerable upside in this matchup, he completes the puzzle perfectly. Drew Brees, Saints, $14,300 – Over the course of the last four weeks, the Lions have allowed the fewest fantasy points per game to opposing QBs so Drew Brees is not worth using, right? Wrong. Analyzing the schedule provides an adequate explanation as to why this has occurred because the Lions have played the Texans, the Vikings twice and the Jaguars during that span. In other words, their overall sample size is a lot more telling and overall they have allowed the fifth most fantasy points per game to the position. At home this season, Drew Brees has thrown for at least 300 yards and three TDs in all but one game (against the Seahawks). Vegas is projecting this game as the highest over/under of the weekend but I am projecting even more than that. Last year, there was a game between the Giants and Saints in the Super Dome that finished 52-49 and the QBs combined for 13 TD passes. This has all the makings of a similar kind of shootout so stacking this game is not only recommended but it is necessary. Failing to use Brees is cash is passing on a 28 fantasy point floor in this elite matchup in an elite environment. 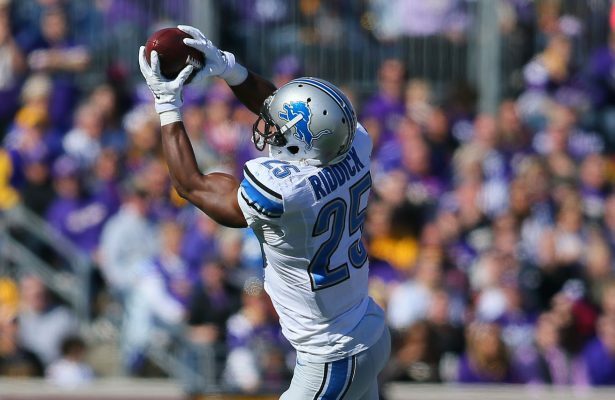 Theo Riddick, Lions, $11,000 – One player from this game is clearly not enough as the Lions are destined to hold their own in this game as well. As a whole, the New Orleans defense is allowing the seventh most yards from scrimmage of any team this year (370.5) and the third most points per game (27.9). Most importantly in terms of matchup, the Saints rank dead last in Football Outsiders’ defense-adjusted value over average (DVOA) metric against opposing backs in the passing game and Theo Riddick is arguably the best receiving back in the game. Regardless of score, the Lions will need to keep throwing to either try or out-score the Saints if they are ahead or attempt to play catch-up from behind. Regardless, there should be a heavy dose of Riddick whose skill set (led all RBs in receptions last year) is quite conducive to FantasyDraft’s PPR scoring format. Despite not receiving the typical allotment of touches for a true workhorse, he is a fantastic play in all formats this week. Jeremy Hill, Bengals, $8,500 – On paper, this matchup for the Bengals is awfully similar to the team they faced last week. Both the Ravens and Eagles excel in terms of rushing defense and defending opposing TEs but are susceptible to opposing WRs. In fact, the Ravens actually ranked first in DVOA in both rushing defense and against TEs in the passing game heading into the Week 12 tilt against the Bengals. When all said and done, Jeremy Hill exploited the defense via the passing game as he caught a career-high six passes for 61 yards. It was the most yards he had gained via the air since Week 4 of his 2014 rookie season so clearly the injury to Giovani Bernard is leading to an uptick in targets. If so, this makes him a complete back and still just too darn cheap for that sort of volume…even against another formidable opponent. He had a mediocre week last week and still finished with 14-plus fantasy points and it is certainly possible that he finds the end zone on any given week. He is a great way to counteract the expensive price tag of Brees and still have money to spend elsewhere. Willie Snead, Saints, $10,100 – How much exposure is too much exposure to the Lions/Saints game? There probably is no such thing this week as I obviously expect this game to result in an extreme shootout. All Saints WRs are in play but none are better values than Willie Snead at less than the average cost of a roster spot. The Lions’ top corner, Darius Slay, has graded as Pro Football Focus’ sixth best cover corner this year and he will likely mostly draw the matchup against Michael Thomas. Additionally, Brandin Cooks did not receive one target last week so his role is certainly volatile. If spending up on Brees, salary relief is necessary elsewhere, so Snead is the perfect combination of value and upside in this elite matchup; he has been targeted at least seven times in four of his last five games and has caught at least three passes in every game during that span. When the Saints faced a Broncos team that possessed a solid group of corners, Snead took over and ended up scoring two TDs. Against a Lions group of corners playing excellent football recently, it would not be surprising to see a similar result in this one. Greg Olsen, Panthers, $9,600 – Looking back at previous meetings against the same team is not a strategy I generally employ but Greg Olsen’s history against the Seahawks is too substantial to overlook. Last year, facing a Seahawks defense with most of the same personnel, Olsen erupted for 8-134-1 in their regular season meeting and 6-77-1 when they met again in the playoffs. The Panthers’ offensive line is sort of a mess this season, as is their offense as a whole, but Cam Newton would be foolish not to look to his security blanket early and often in this matchup. The Seahawks still rank 18th in TE DVOA this year and it is still clearly one of the few areas of vulnerability to the defense. With Olsen’s price tag sinking to probably as low as it will ever get, now is the correct time to buy his stock.